Hello! 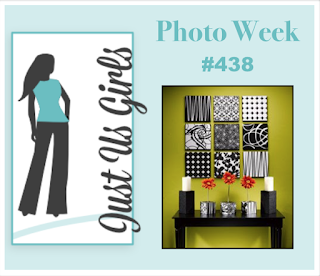 The new challenge over at Just Us Girls is a photo challenge. This is the cool photo Vicki chose. I started by die cutting the green frame. Then I took out a black and white paper pack I had and die cut nine different squares then one white rectangle. I popped up the frame and recessed the squares inside. Before I added the rectangle into the frame, I stamped a flower on it. Then I die cut the sentiment three times from black and once from white. The white layer was offset so you could see the black behind it. 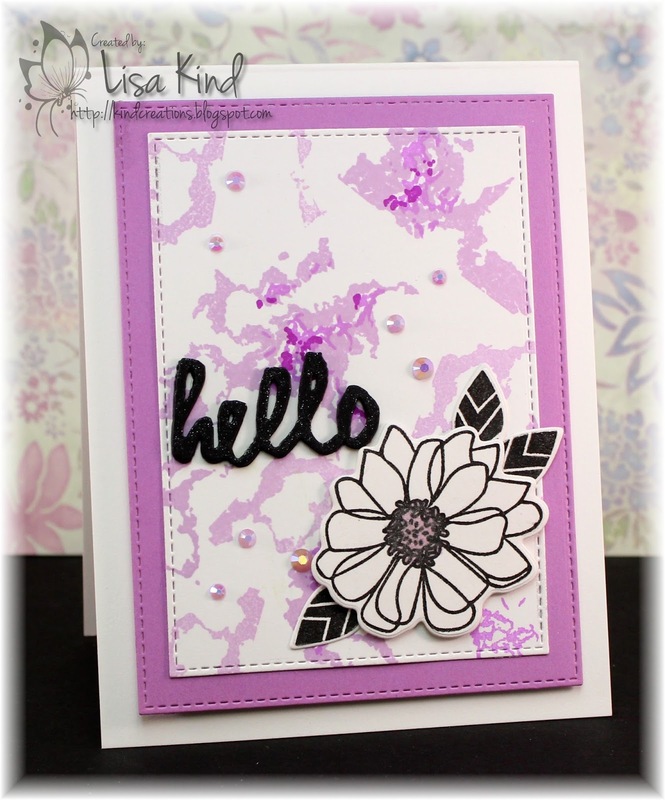 There's shimmer on the flower and sentiment, and I added clear sequins to finish it off. 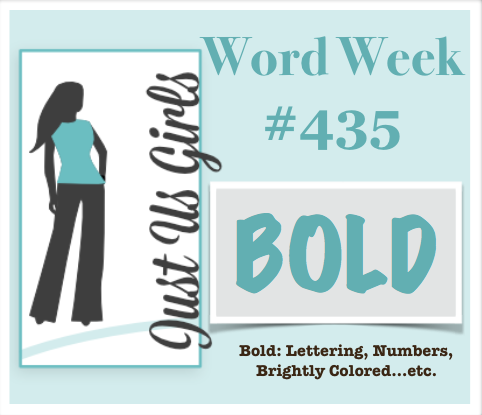 You can see more from the JUGs design team and our April guest, Karren, on the JUGs blog. This is Karren's last week with us and we'd like to thank her for her great creations. Hi there! 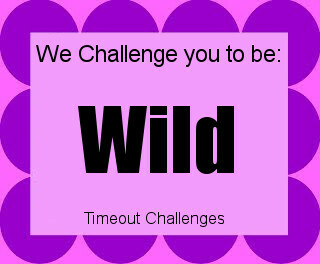 The new Time Out challenge is challenging us to be Wild. 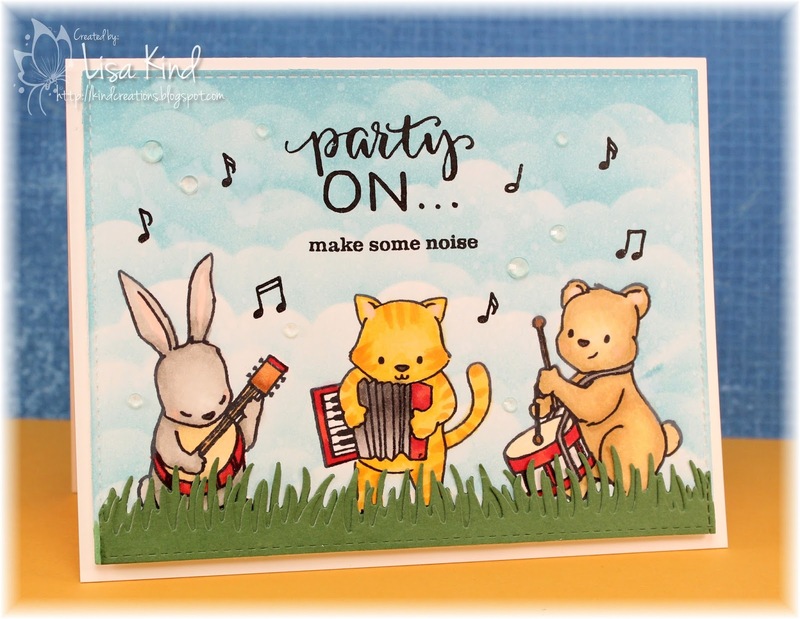 We are sponsored by Walter and Winnie for this challenge, and I chose to use this cute set called Party On. I'm not sure how "wild" these cute little critters are, but they are partying on and making some noise! I stamped and colored them with copic markers. They were masked off and then the clouds were added with a stencil. Then I die cut two pieces of grass and added it to the bottom. The sentiment and music notes were stamped with black ink. There's some shimmer on the instruments and some crystals too. 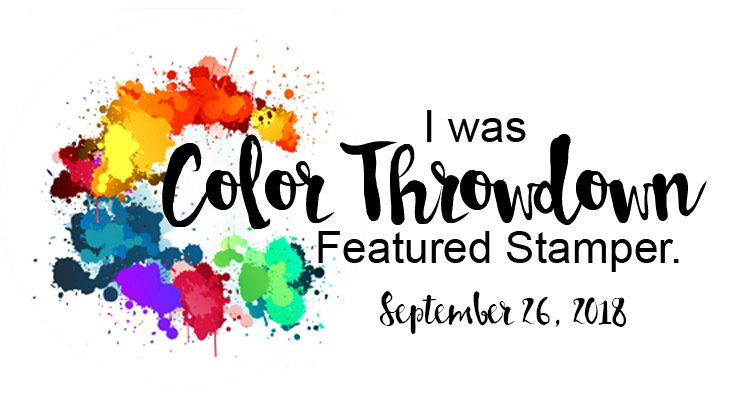 You can see more from the design team and our guest for this challenge, Darnell, on the Time Out blog. Hey friends! 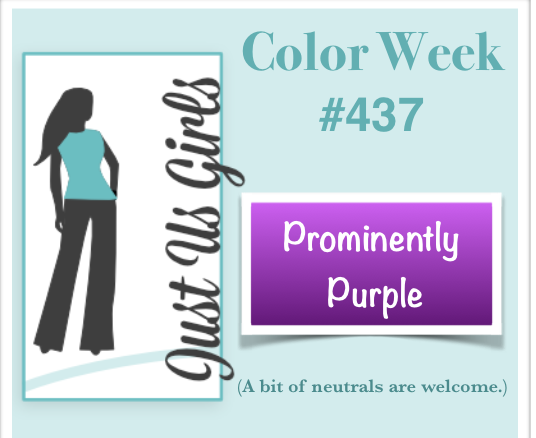 How are you on the color purple? It's not my favorite, but I do like a challenge. It's color week at Just Us Girls and Carol has chosen to prominently use purple on your card. I must say I'm loving the purple! I started with another stamp set I've had for a while that I haven't used. This is a layering marble set from Waffle Flower and I could have done a better job with it had I watched their video tutorial. But I do like the outcome mostly. 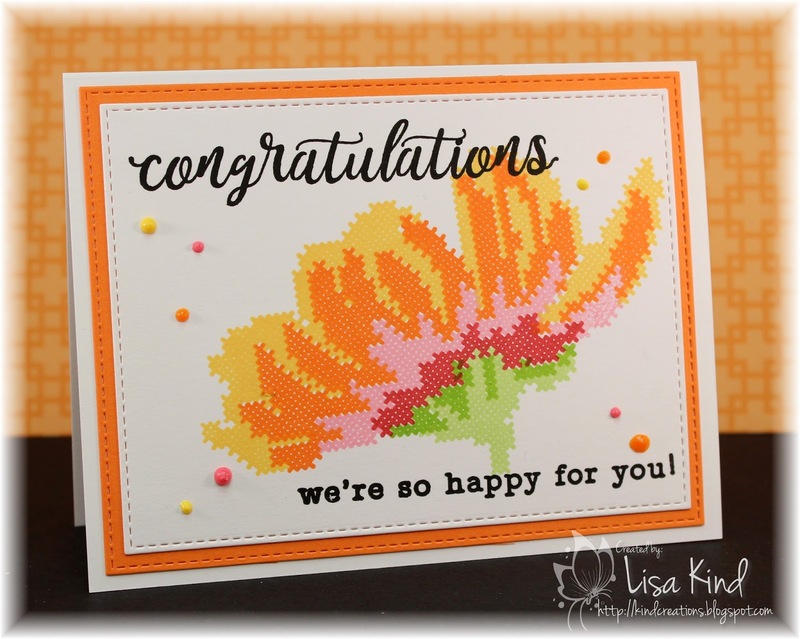 After stamping a much larger piece of cardstock, I die cut it with a stitched rectangle die. I die cut another panel in an orchid card stock to mat it on. Then I stamped the flower and leaves in black. I didn't want to add any other colors and I thought coloring it in purple would be too much (at least for me!). I did color the middle of the flower with a light purple copic. Then I die cut the sentiment four times from black card stock and stacked them. That and the center of the flower received some shimmer! And of course to finish it off, I added some purple crystals (there they are again!). 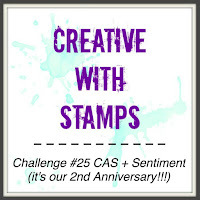 I'm also entering this in the Creative with Stamps challenge. Hi everyone! Today is my birthday! Pretty soon I'm not going to be acknowledging this day because I don't want to admit how old I'm getting! Yikes! 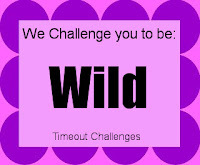 Anyway, I'm posting today because the current Time Out challenge is in it's second week, and I have a reminder card to share. 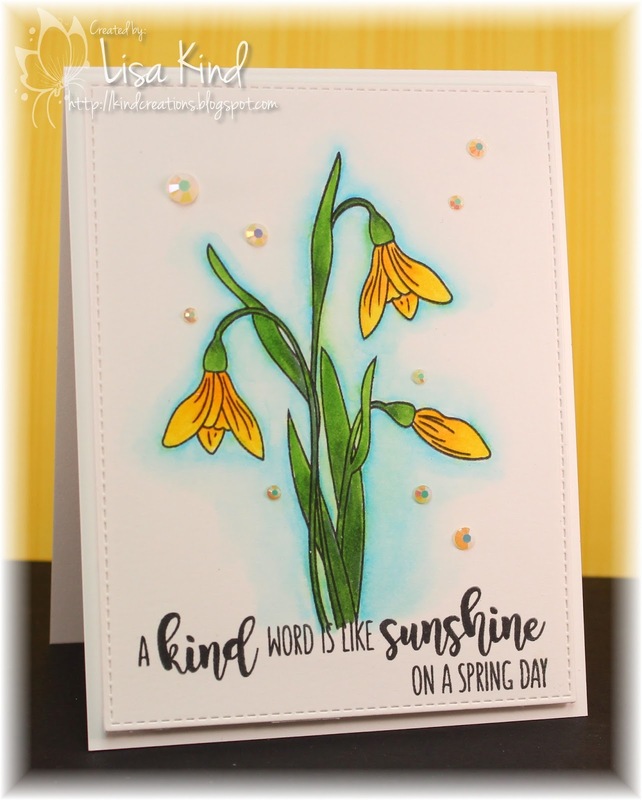 The theme is spring and I found this pretty die and stamp set in my stash that has never been used (like most of the things in my stash!). I thought it would work well for this challenge. I first die cut the frame into white cardstock then stamped the coordinating stamps. 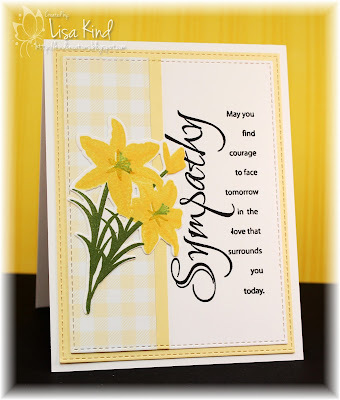 I cut a piece of gray cardstock to fit behind the white die cut panel and stamped the sentiment. I spritzed the panel with shimmer before mounting it on the card base with fun foam. You can see more from the Time Out design team and our guest, Kimberly, on the Time Out blog. Hi everyone! 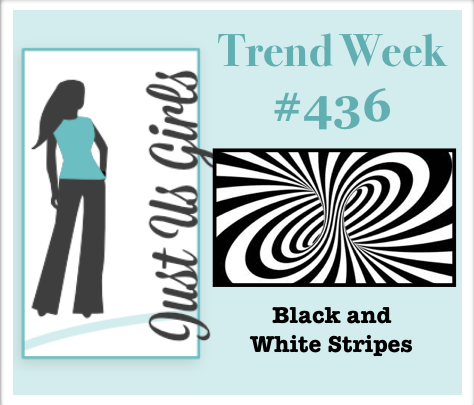 I'm the hostess for this week's Just Us Girls Trend Challenge. 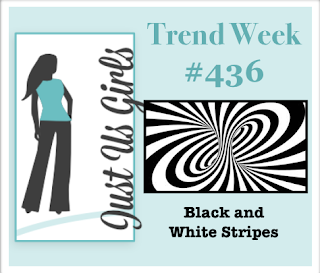 I've chosen black and white stripes. 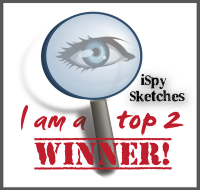 This seems to be very trendy lately and I love to use them! 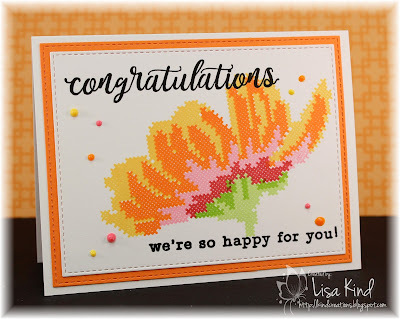 You can see more from our JUGs design team and our April guest on the JUGs blog. Hi friends! 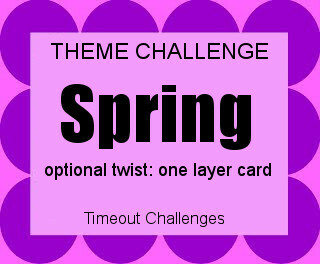 The challenge over at Time Out is Spring theme. This challenge is sponsored by Uniko Stamps, and I'm using this very pretty Spring Botanicals Snowdrop stamp set. 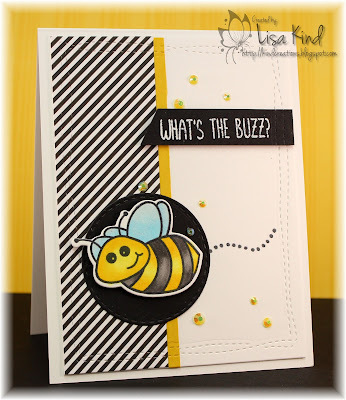 I stamped it onto Bristol smooth white cardstock and colored it with Zig markers. I haven't used those in a while and it was fun to color this simple image. 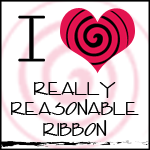 I stamped the sentiment in black ink and die cut it with a stitched rectangle die. It's mounted on fun foam and I added some crystals. Love the simplicity of this one! 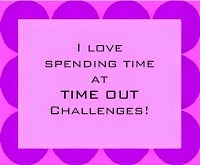 You can see more from the Time Out design team and our guest for this challenge, Kimberly, on the Time Out blog. Hey everyone! It's Word Week at Just Us Girls, and Ina has chosen the word "bold". I chose to go with a bold color palette. I pulled out this new set from Altenew. It's one of their cross stitch stamps and it's a layered one too. So I stamped each layer in a different color and tried to do a sort of rainbow color scheme. 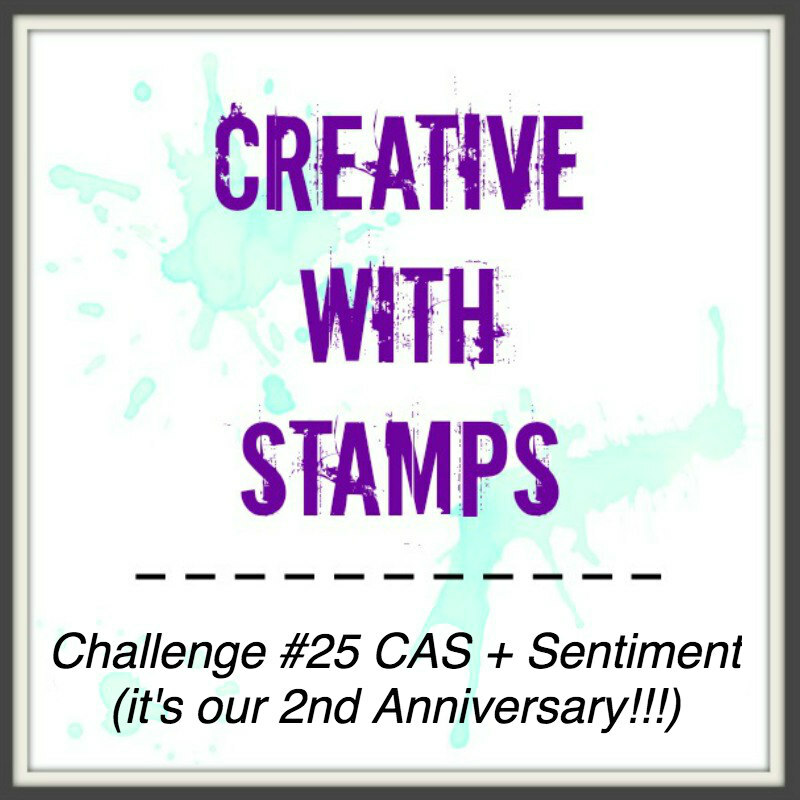 I stamped the sentiments in black ink and added some Nuvo drops. To continue with the bold colors, I matted this panel on orange cardstock. It's really bold and bright in person! You can see more from our JUGs design team and a welcome to our April guest, Karren Johnson, on the JUGs blog. Hi friends! I needed a sympathy card today (my elderly cousin passed away after an illness). I pulled out this old wood block stamp (one of my favorites for a sympathy card that I cannot get rid of) and stamped it in black ink. 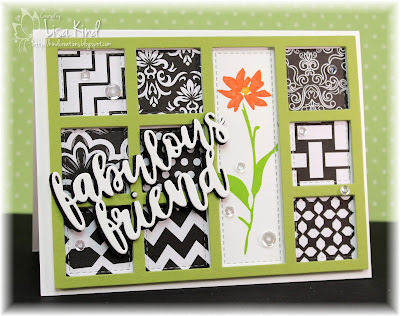 Then I die cut the floral image and stamped it with various inks a (it's a layered stamp set). I added a piece of gingham pattern paper then the flower. 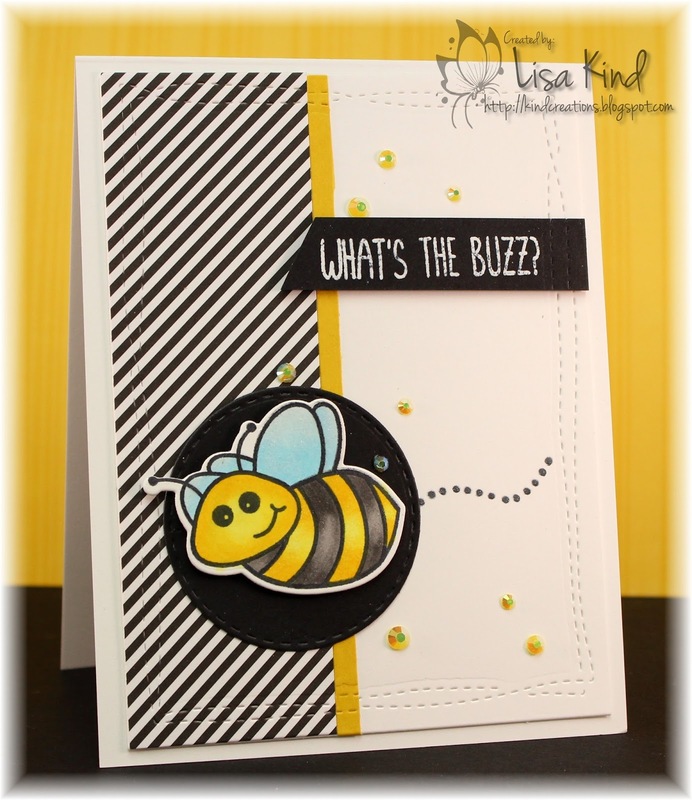 This panel and the yellow panel were die cut with stitched rectangle dies.